Hi AnyRecover, my notes disappeared from Mac after update. Can you help me find them back? Any help would be great appreciated! One of the things that can easily get Mac users worried is missing or deleted notes. This could be as a result of upgrading your mac OS, accidentally deleting notes or whatever might be the cause. Notes can be really precious and of great value. This would ordinarily make any user want to recover the notes back without undue stress. This article would go into step-by-step explanation on how to recover deleted notes on mac. How to Recover Deleted Notes on Mac? AnyRecover is a data recovery tool that can be used in recovering deleted files, formatted data or any form of lost data (malware attack or virus, power outage). It has an incredible 98% recovery rate and can recover data from your SD card, Mac computers, hard drives and so on. It goes without saying that your best bet to recover your deleted notes on Mac is AnyRecover. This software has been tested, still being trusted and used by the best of professionals. Recovery of data without overwriting it or other existing data. Files, notes and other data can be recovered on any storage device because of its high compatibility design. It supports more than 1000 file formats recovery including missing or deleted notes. A free trial version for intending subscribers to confirm whether it works and its system of operation. Step 1: Select A Recovery Solution. 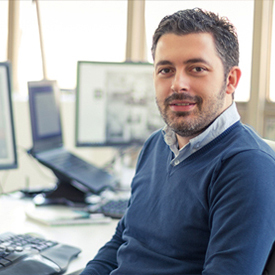 The AnyRecover software will display several recovery solutions for you. You can choose the suitable option according to your need - Deleted Files Recovery. Step 2: Select the Disk to Scan Notes. The disk to select will be the one that previously contained the deleted notes otherwise the lost data would not be recoverable. Step 3: AnyRecover will begin scan on the selected disk. It may require some time depending on the size and quantity of files on the disk. After scanning, you can now preview the notes and select the files you want to recover. 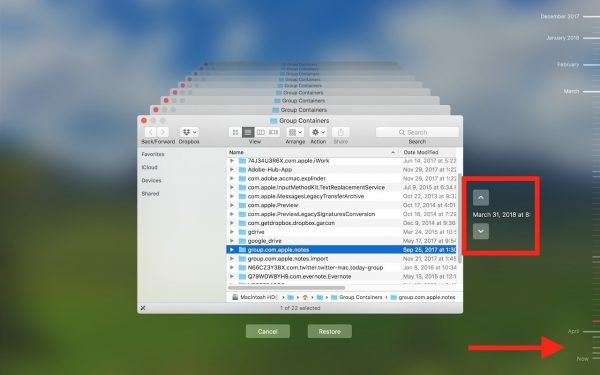 Note: To avoid overwriting your lost files, stop using your computer immediately after the notes disappeared from mac. Step 1: Open your Notes app on your Mac, click on Recently Deleted. Step 2: Here you'll find your deleted notes, then drag the deleted notes from Recently Deleted folder to another folder in the sidebar. Another method to restore your missing notes is recovering from Trash on Mac, even if the notes were subsequently emptied amongst other files from the trash. The Quick action tool enables Mac users to recover files from being permanently lost. If the trash bin has not been emptied, the notes can be easily restored. Press "Command-Z" or click "Edit" from the menu and select "Undo" from the dropdown options. If this does not work, you can got the trash bin and restore your notes by clicking the "Put Back" button or dragging the files onto your desktop. If the files have been emptied from your trash bin, you may recover your notes using the AnyRecover software or the Time Machine. The Time Machine was created with the Apple OS X operating system as a backup software application which creates a backup for all your files in an external hard drive. All backed up files with Time Machine can be restored including your lost notes (assuming they were regularly backed up). Step 1: Click on Finder > System References > Time Machine. Step 2: Check the box next to Show Time Machine in menu bar. Then select the option "Enter Time Machine" from the Time Machine menu. Step 3: Locate a version of the Notes storage folder that just precedes your deletion Use the timeline on the edge of the screen. Step 4: Click Restore to restore the selected notes. Your missing notes should reappear once you launch the Notes app. If you discovered that your notes disappeared from Mac or you deleted them intentionally or accidentally, do not be scared, it is not a fatal blow to your precious collection. This article goes into details and simplifies the procedure you can follow to recover the deleted notes. AnyRecover is the recommended tool for perfect results because of its high recovery rate and a free trial version exists for new users.